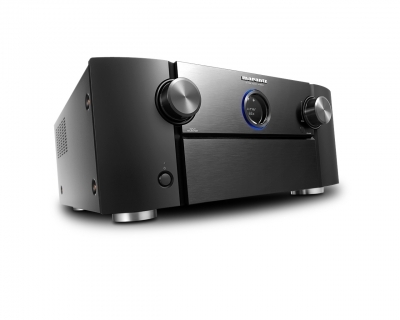 Marantz has long set the standard for AV receivers combining home theatre prowess with superb music ability, and the SR7013 takes that capability to unprecedented levels, combining the very latest technology for an immersive movie experience. Immerse yourself in stunning 3D surround sound with the SR6013 AV receiver, featuring Dolby Atmos and DTS:X surround decoding, with the ability to drive overhead speakers. AirPlay 2, Bluetooth, Internet Radio, Spotify Connect, Napster, Amazon Music, TIDAL, Deezer and more. Packed with the latest audio and video technologies, the Marantz SR5013 lifts your Home Theatre to a new level, with Dolby Atmos and DTS:X bringing you breathtaking 3D surround sound with today's advanced movie soundtracks, and is fully equipped to deliver the renowned Marantz Hi-Fi and Home Theatre sound. 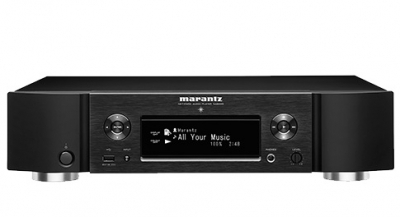 With a slim profile that doesn’t sacrifice performance for looks, the Marantz NR1609 7.2 channel AV receiver supports immersive, object-based audio and the latest HDMI specifications. 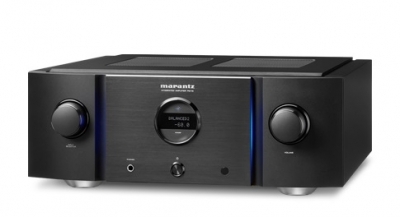 With a slim profile that never sacrifices performance for looks, the Marantz NR1509 AVR delivers 5.2 channels and high-resolution surround sound from Dolby TrueHD and DTS-HD Master Audio. 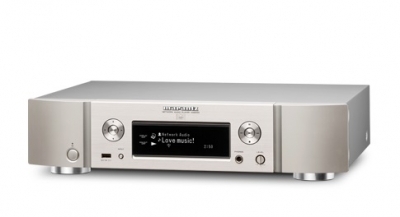 The versatile Marantz AV8805 pre-amplifier redefines the audiophile home cinema and music listening experience with an unprecedented 13.2 channel processing capability, and support for virtually any high-resolution multichannel audio format. With the latest surround formats like Dolby Atoms, DTS:X or Auro-3D you can also immerse yourself in the wonder of three-dimensional audio. 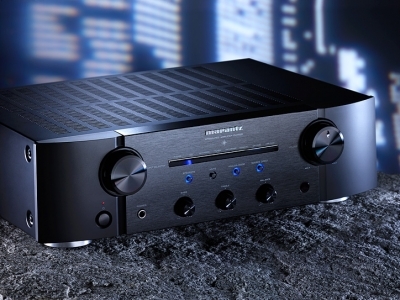 Marantz has long set the standard for AV receivers combining home theatre prowess with superb music ability, and the SR7012 takes that capability to unprecedented levels, combining the very latest technology for an immersive movie experience, including full 4K compatibility and unparalleled 3D surround sound decoding, with precision audio engineering and tuning. 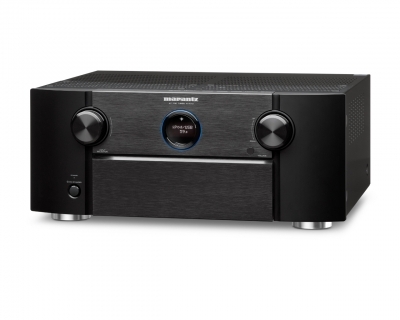 9.2 Channel Full 4K Ultra HD Network AV Surround Receiver with HEOS.Immerse yourself in stunning 3D surround sound with the SR6012 AV receiver, featuring Dolby Atmos and DTS:X surround decoding, with the ability to drive overhead speakers. 7.2 Channel Full 4K Ultra HD Network AV Surround Receiver with HEOS.Packed with the latest audio and video technologies, the Marantz SR5012 lifts your Home Theatre to a new level, with Dolby Atmos and DTS:X bringing you breathtaking 3D surround sound with today's advanced movie soundtracks, and is fully equipped to deliver the renowned Marantz Hi-Fi and Home Theatre sound. 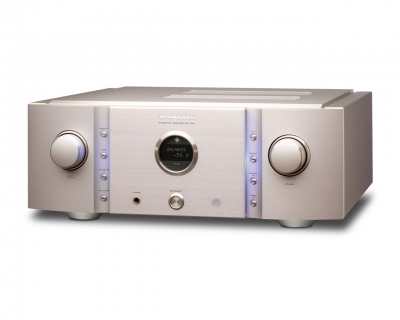 With a fully discrete current feedback design, the PM8006 integrated amplifier is perfect for audiophiles wanting both excellent music quality and flexible operation. The PM6006 is an upgraded successor of the multi-award-winning PM6005. Of course, we have retained the pre-amp and power-amp sections that exclusively feature discrete components – not a single IC in sight of the signal path. 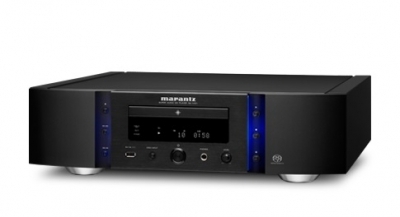 New to the Marantz collection, this excellent entry-level integrated amplifier breaks all the rules. That’s because it’s the first in its class to offer current feedback architecture – a feature that normally is reserved for the more expensive models. 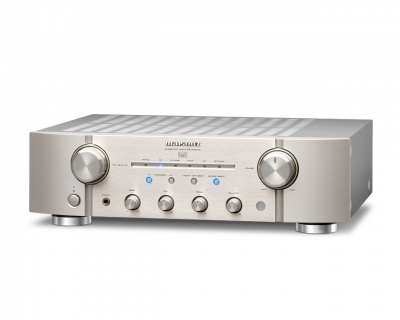 Now you can connect this superb integrated amplifier directly to a vast range of digital sources and use its superior DAC to create an unbelievably high level of audio enjoyment with new media. Toroidal Transformer and high quality customized components. 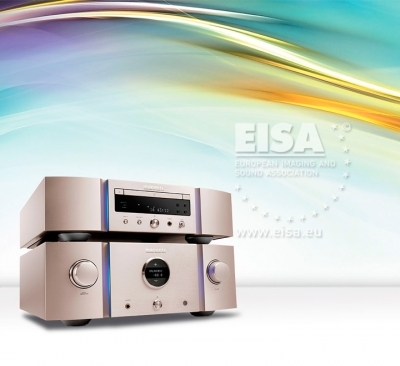 Fully discrete, current feedback integrated amplifier with USB-DAC functionality. It is simply perfect for audiophiles wanting both excellent music quality and a maximum of flexible operation, which is provided by the highly versatile DAC-mode. 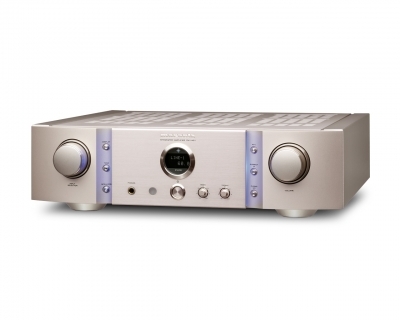 This fully discrete current feedback integrated amplifier is perfect for audiophiles wanting both excellent music quality and flexible operation. 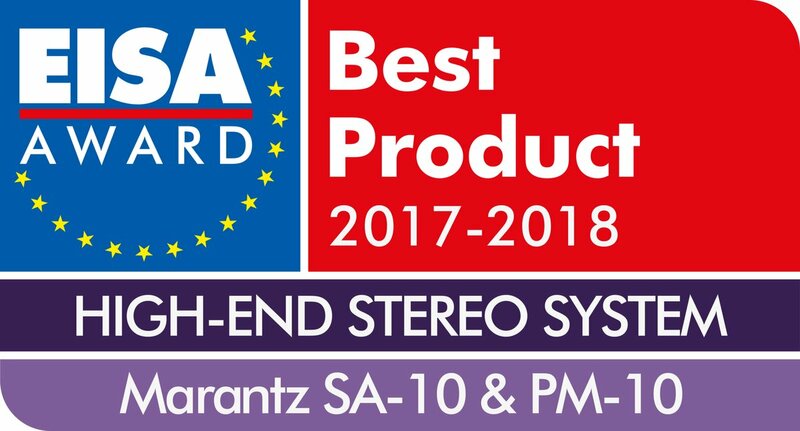 To guarantee a totally unique audio experience, Marantz designers have shaped and optimised the power handling characteristics and redesigned the large double shielded Toroidal transformer’s circuitry to optimise bandwidth power. This is extreme versatility purified. Not only does it perfectly and expertly handle any kind of high resolution audio format, it also streams music from almost any network device, including PC, Internet radio, Android devices, Windows 7 “Play to” as well as AirPlay from iTunes and iDevices. Superb quality is assured because all audio signals are fed into the Digital Signal Processor (DSP) via its own unique a path. This is the epitome of extreme quality and is, quite simply, a masterpiece. As you would expect from such an elite amp, it includes exceptionalquality components such as Toroidal transformer and subsystems throughout its construction. This highly admired Premium amplifier is now in its third generation and is quite simply better than ever. That’s because we added new Marantz original high-quality, high-purity copper speaker terminals. There’s also a new power amp direct input, and a new Marantz Remote App operation (iOS and Android) via the Marantz control bus with Network player. 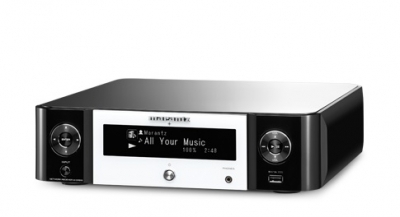 Marantz design engineers have taken everything we learned in developing the Premium Range and applied it to this first-of-its-kind, exquisite player.Wherever and however your favourite music is stored, you can now enjoy it in pure Marantz quality. Because Music Matters. This unit is your open doorway to an endless supply of new digital media, either streamed from your PC or directly accessed from the Internet. Wherever your favourite music is stored, you can now enjoy it in crystal clarity, because the NA8005 Network Audio Player with USB-DAC connects to everything – to your PC, external hard disc, your NAS as well as to Internet radio and music service Spotify Connect. 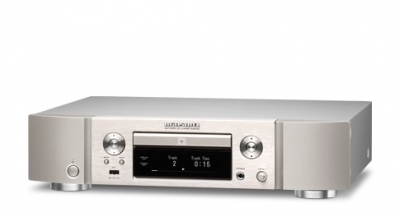 The new CD5005 incorporates everything its predecessor, the CD5004, offered including the Marantz-own HDAM-SA2, but this year it features an upgraded DAC CS4398 and new CD mechanism . We also added a solid metal bottom-plate and centralised the CD mechanism. 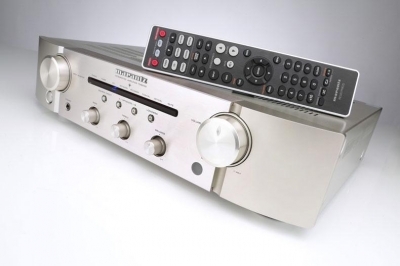 That is how, for example, we virtually eliminated vibration.In addition, the oversized power supply feeds the digital and analogue circuitry of the player, where the high-quality CS4398 DAC converts digital signals to analogue, this is then ‘pushed’ to the gold-plated synch outputs by Marantz’s own small signal amplifier, the HDAM-SA2. CD, CD-R/RW playback, USB-A input Certified "Made for iPhone/iPod"
Double layered bottom plate for extra stability. 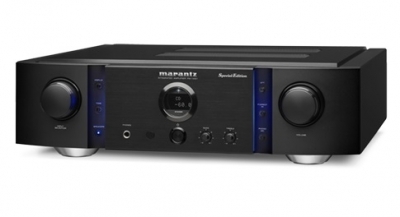 This is the perfect platform referencequality sound, and for the Marantz disc mechanism to provide superb CD and SACD sound quality. But that’s just the start of this amazing player. It includes a DAC-mode that’s almost identical in functionality to that of the revolutionary NA-11S1. 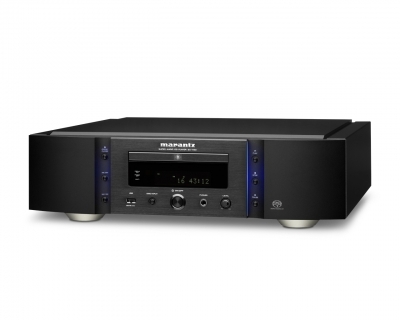 What would you say to having the legendary Marantz audio quality in an exceptional value-for-money Blu-ray Disc player? Well we said ‘Yes’, and the result is the 3D-capable UD5007. Not only does it reproduce all the delicate audio details from CD and SACDs, its superb 24fps Blu-ray quality comes with BD-Live and DLNA 1.5 specifications. You can also enjoy your latest music (incl. FLAC HD) and video downloads from your PC. Enjoy fabulous quality Blu-ray video and then stream audio (incl. FLAC) and video files (including DivX plus HD files) from your home network or Internet. The UD7007 can give you this universality because it’s not only a Blu-ray and DVD player it is also DLNA 1.5-certified, and even provides access to Netflix video on demand and YouTube Leanback online services. the two HDMI 3D supporting output ports optimise flexibility in setup and in fine-tuning performance.